The range hood is responsible for capturing food odors and grease that fly around during meal prep. If you're in the market for a new hood, here's some info on selection and installation to help you make sure that your new appliance will be up for the job. Whether integrated underneath the cabinets or suspended as a focal point over a kitchen island, the range hood is the unsung hero in the kitchen, rarely appreciated for the crucial role it performs by eliminating the airborne grease, smells, and heat produced during meal prep. If you’re getting ready to upgrade old appliances like dishwashers and refrigerators as part of a kitchen renovation, don’t forget the range hood—it deserves consideration too. 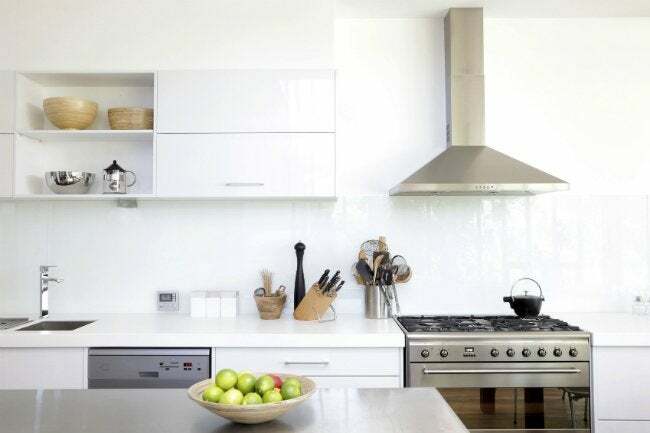 You may have a general idea of what you’d like in a new range hood, but you’ll probably still be overwhelmed by the wide spectrum of prices and options available today. Selecting and installing a range hood involves more than just picking out a style that complements your existing range. To find a model that fits your kitchen space and cooking style, keep the following particulars in mind. Range hoods use fans to draw up grease and steam, along with food odors and excess heat, but not all hoods perform the task equally well. The difference between average and effective largely depends on the type of ventilation available: ductless or ducted. • Ductless models do not vent to the outside of your house. The fan on a ductless range hood draws in air and circulates it through a charcoal filter, which traps grease and some odors, but it’s usually not as effective as an exterior-vented model. The less expensive of the two styles, ductless range hoods can cost as little as $50, and go up from there to several hundred dollars. • Ducted range hoods are more effective than their ductless counterparts, and they, too, have a wide price range. Ducted range hoods draw in cooking air, then whisk it outside your home via a wall vent or upward through the ceiling joists and roof. More affordable options start under $100, but homeowners who want a high-efficiency or designer ducted hood could pay well over $1,000. The option for ductless or ducted also applies to the popular and space-efficient microwave-hood combinations. Homeowners shopping for a new combination unit often (mistakenly) focus primarily on the features offered by the microwave. But it’s also important to weigh a unit’s ventilation capabilities to make sure you’re selecting one that’s sufficiently effective and efficient for your needs. Some range hoods sound like airplanes getting ready to take off, while others are virtually silent—it largely depends on the location of the fan motor. Read the packaging carefully, or research online before purchasing, to determine where the unit’s blower is located. When the blower is built right into the hood, you can clearly hear it when it’s running. The stronger the fan, typically, the louder the noise, although some higher-end models are designed to minimize sound. If you want a quieter stovetop-cooking experience, look for a range hood that comes with a remote blower. You’ll still turn on the fan the same way, via a switch on the hood, but the fan will be farther away from your range—often either midway in a duct or on the top of the roof, thereby buffering the noise. A remote blower is just one of many bells and whistles that will add to the cost of a range hood. 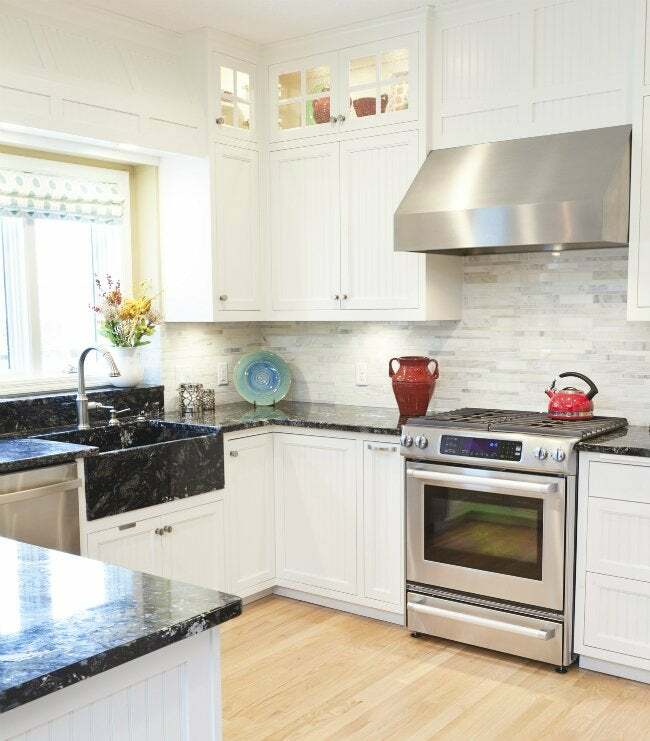 But if your kitchen is open to the living or dining area, or if guests always seem to congregate in your kitchen, the desire to cook and converse without having to yell over a fan may be worth the extra dollars. If you’re a handy do-it-yourselfer, it’s relatively simple to switch out an existing range hood with a newer model. Moving a range hood’s location during a kitchen renovation or installing one for the first time, however, will require some accommodations. Size: The standard width of a range hood is 30 inches (matching the width of a standard range), although wider wall-mounted and suspended island models are also available for custom kitchen designs. 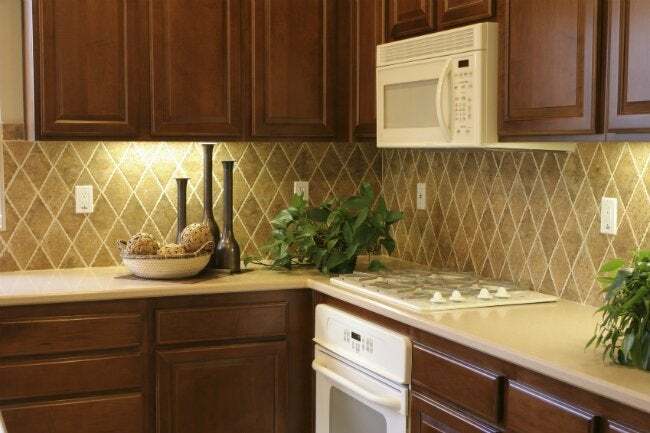 Placement: For microwave-hood combinations, the bottom of the cabinet above the range should be at least 30 inches above the cooking surface to leave room for the installation. Fortunately, many contractors install this cabinet configuration in new homes for just that reason. 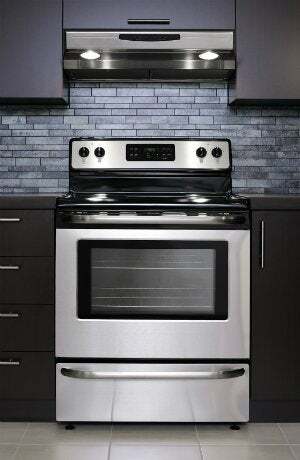 The 30-inch distance is also the preferred upper-cabinet height for a range hood without a microwave, although individual models may have different requirements; once you’ve picked a keeper, read and follow the manufacturer’s recommended height specifications. Power supply: If you’ve chosen a combination model, you must have an electrical outlet in the cabinet above the unit in order to power the fan motor and microwave. While it’s not required by building code, many new-home contractors will go ahead and install that designated outlet on a separate 15 or 20 amp circuit with enough juice to run a microwave. If you’re installing a hood for the first time and there’s no nearby outlet, an electrician must install one near the location before you can proceed. The specs on your unit will indicate its power needs. Not all simple range hoods draw enough power to necessitate a designated outlet, but microwave-hood combinations should have their own circuit. Assembly. Both single hoods and microwave-hood combination units come with templates that mark exactly where to predrill or cut holes for screws, a power supply, and vent. The template will also show you where to attach the bracket that supports a hood combo on an exterior wall. If you are installing an outside-venting range hood, but you’re not mounting it on an exterior wall, the model you select should have the option of upward venting, as you’ll have to run the ducting through the ceiling. Once you’ve installed your range hood, keep your investment fully functioning for its expected lifespan by giving it regular attention and using degreasing cleaners. Because range hood fans draw up grease and steam, prevent a sticky buildup from forming by spraying the underside of the hood with kitchen cleaner and wiping it down as frequently as you would any other surface in your cooking space. If you cook a lot, it’s also a good idea to wash the exhaust fan filter at least once a month—otherwise, its holes may become so clogged with grease that it will no longer work effectively. Simply slide or pop out the stainless steel filter, place it in the sink, and scrub it using hot water, baking soda, and a degreasing dish soap. Some filters (check the manufacturer’s instructions) can be put directly into the dishwasher for even easier cleaning.